B.E.T.A's. Training services provide short courses and continual professional development which can be key to keeping your organisation at the leading edge in a world class market, where knowledge is power. Techniques and approaches to carrying out a job effectively and efficiently are continually evolving. New technology can be bought in and new strategies developed to enhance, stream line and improve the business process. Legislation may change and staff have to be made aware of these changes, so as to stay within the law. 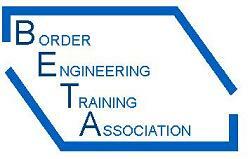 B.E.T.A. can play a key role in keeping your organisation up to date by supplying both, of the shelf and bespoke short courses, which can meet both your immediate and future needs. Using the side menu select one of the options to find out more or for a quick summary of available courses view our short course calendar. To register complete the short course application form and email it to Bordereta@btinternet.com in the first instance or contact us to discuss any course requirements on 01835 824464.